Planning for your Kefalonia holidays? We know all the things to do in Kefalonia (Cephalonia) island in Greece! 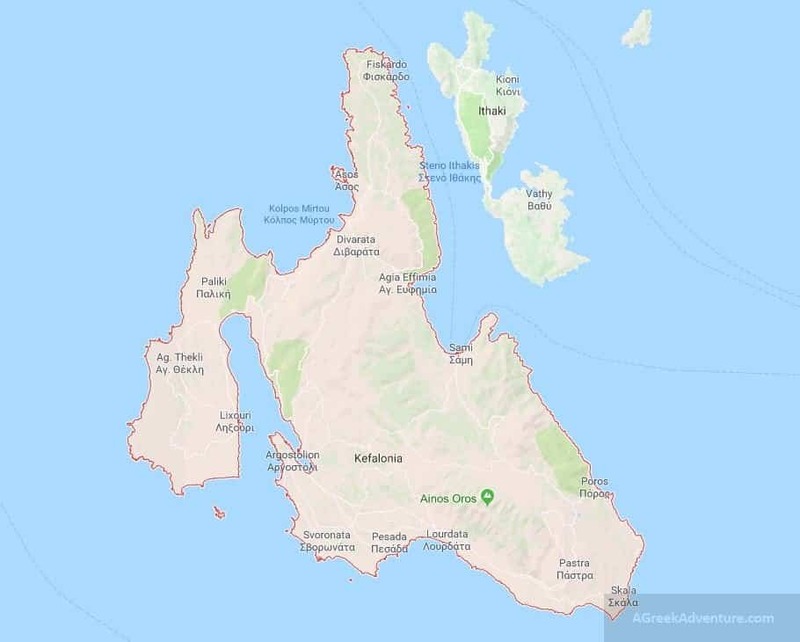 Having many friends coming from this island (biggest one in the Ionian sea), we have been there 3 times already and still is not enough. The island is widely famous for its magnificent beaches and luscious green. You need lots of days to fully explore the island during your holidays to Kefalonia. Our post will guide you to the things you need to do during your Kefalonia holidays. Make sure to allocate 7 days at least, for your vacations there as there are 365 villages in the island. How to get to Kefalonia island? Where to stay in Kefalonia? 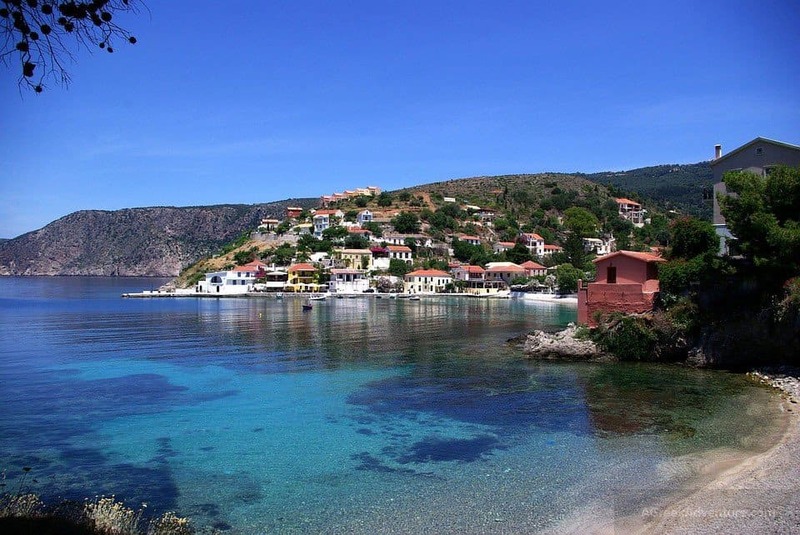 The village of Assos is loacated at the north of Myrtos beach. Assos is very picturesque and marvelous to look at. It follows an amphitheatrical layout around the Assos peninsula. It is very green with fantastic forests. Trees spread all over and down to the crystal clear beaches. Sami is one of the precious jewels of Kefalonia and you will find out why during your holidays to Kefalonia. It is a coastal village around 25km from Argostoli where at the opposite side of it you can admire the island of Ithaca. Here is the famous Sami beach. 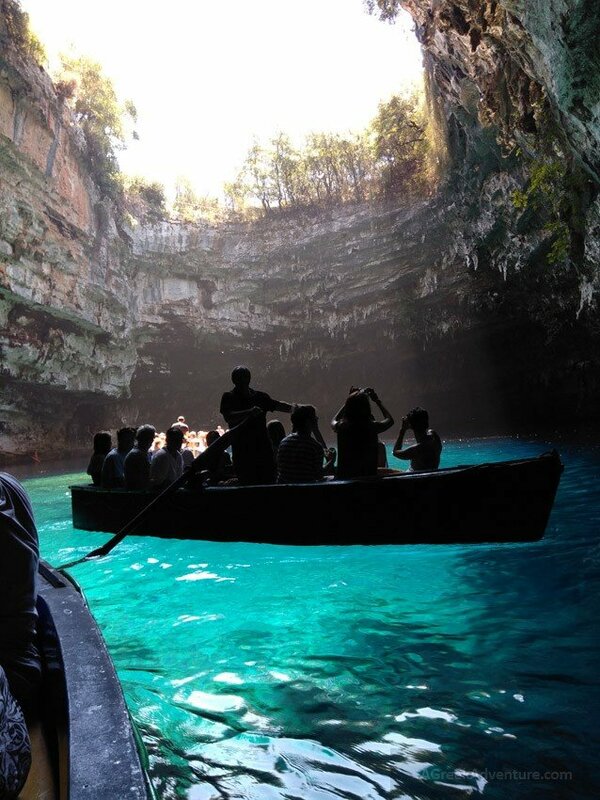 When in Sami ,ake sure to visit the monastery of Agrilia and the cave of Drogarati and of Melissani. Maybe Kefalonia’s biggest holiday spot, 3km from Argostoli. Two most popular beaches of Kefalonia are here: Makris Yalos and Platis Yalos. Lassi area is an ideal place to have as a starting point and explore the island. Most excursions pick up from Lassi. A very popular and well organized village in Kefalonia. Some say it is “way too popular and crowded”. Skala is 35km from Argostoli and gets really busy during summer months. Yet, if you like water sports then this is the place as it comes with really well organized facilities for such. Take the small cruise boats from Skala to visit Poros and other locations in Kefalonia. Located at the northern tip of Kefalonia, Fiscardo is a destination so remarkable that the Greek government has protected it by law. There are dense forests around the village abd countless small coves with pebbled beaches and crystal clear waters. The architecture of this village is quite unique and resembles an era long gone; a time where Kefalonia was ruled by Venetians. Every building around the harbour is a Venetian-style house with pastel colours. 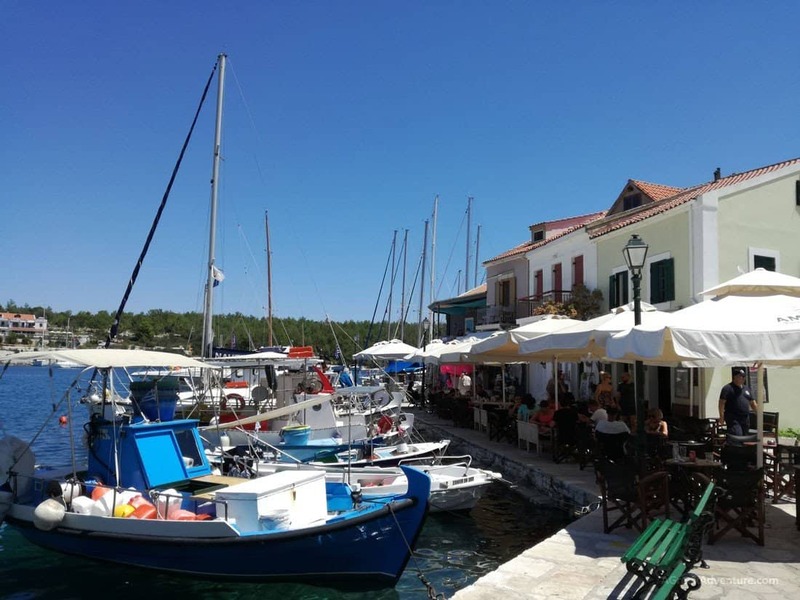 Such a beautiful harbour is filled with all kinds of vessels during summer time, docking there and visiting the harbour restaurants, tasting traditional Greek cuisine. Argostoli (capital of Kefalonia) was literally flattened during the 1953 earthquake and was build from scratch. Thus the city now holds a modern style and not a traditional one as seen in other villages of Kefalonia. Do walk at the lithostroto pedestrian mall street and taste traditional products or just relax to one of the many coffee shops there. While in the city pay a visit to the church of Saint Spiridonas (protector of Kefalonia), and do enter the Clock Tower (Kambana Square) for panoramic views to the city. Do visit the Archaeological museum (opposite to Kefalos theater) and maybe the Historical/Folklore Museum. 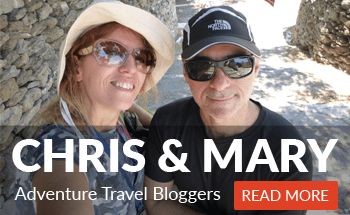 Take the bus and get to Lassi beach or to Makris and Platis Gialos beaches. The sunset is great from the De Bosset Bridge; a stone bridhe just above sea level. Lixouri is famous for the musical tendencies and background of its residents. It is a big city (2nd after Argostoli) but without the hassle. Lixouri is a beautiful and modern town with rows of trees, nicely decorated squares and houses with gardens full of flowers. A hidden Cave lake of unparallel beauty. 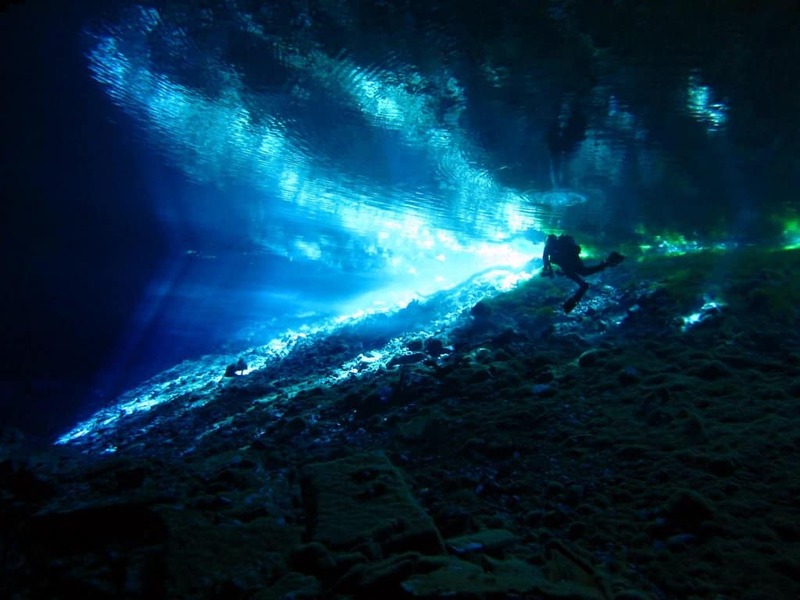 Best time to visit it is at noon where sun is vertical to earth and bathes the cave waters with light. There are 2 caves next to each other. A dark and a light one. We promise that they will leave you with awe. Pay the small ticket fee and hope on one of the small boats that tour you through both caves. Legend says that the Cave of Melissani was the one where Nymphs of God Pan drowned after being rejected by him. Mountain Ainos is located 30 km from Argostoli/ The mountain is also known as Black Mountain (Monte Nero). The names comes from the Venetian period and was awarded due to its thick Fir trees forests. Mt Ainos is the tallest mountain of the Ionian complex (1,628 mt – 5,341 ft). Mt. Ainos was first declared as a National Park in 1962 and houses the heart of Kefalonia’s biodiversity. Find many details for this Park of Kefalonia from here. The cave of Drogarati was revealed after a strong earthquake, more than 300 years ago. 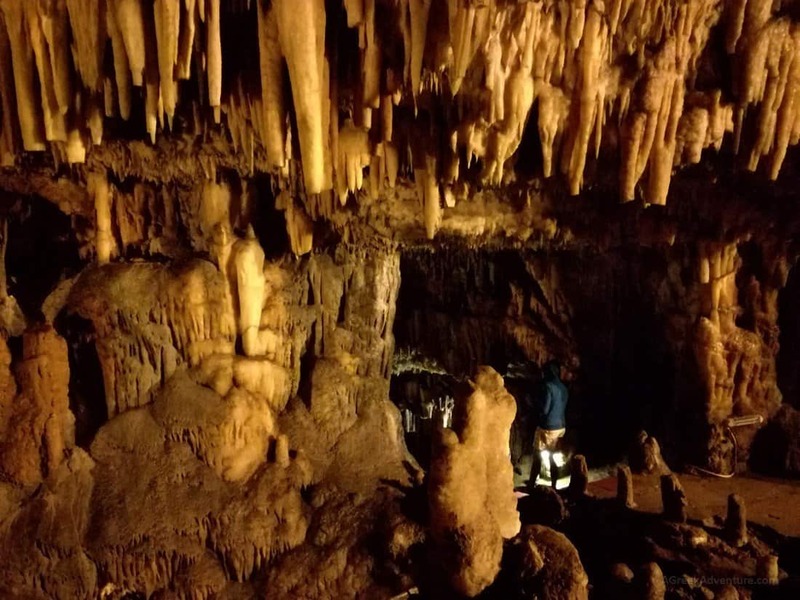 It dates back to 150 million years old, with stalactites ranging from orange to yellow colors. The main hall has spectacular acoustics properties. It is called “Sala of Apotheosis” (900 sq.m.). The famous soprano Maria Callas visited this place and sang there. Same did other famous artists after that. If you like kayaking then this island is for you. 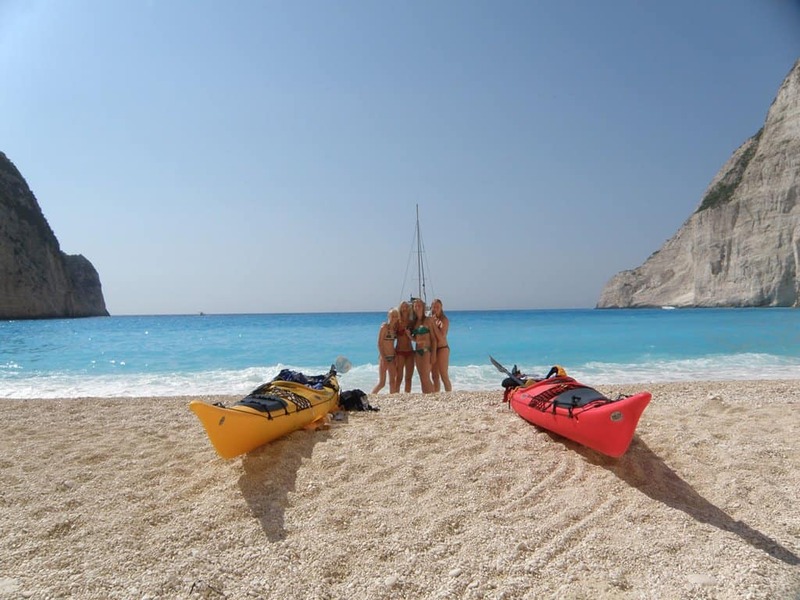 Spectacular crystal clear beaches and fantastic views will be there for you as you paddle around the island. 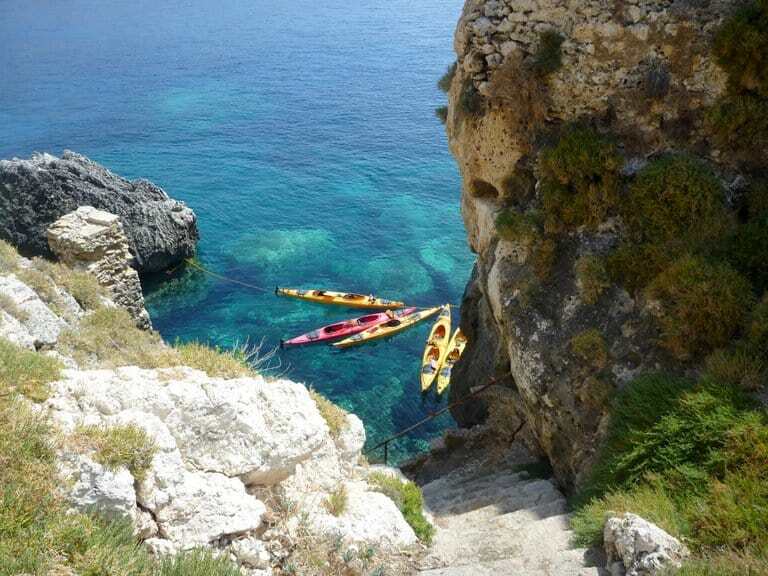 Get off the beaten path and discover the beauty of Kefalonia the traditional way. My well tempered and sure footed donkey ladies Grisella and Wiolätta will guide you. Enjoy amazing views over the bay of Sami, evergreen valleys of the area and dive into the history of Kefalonia. 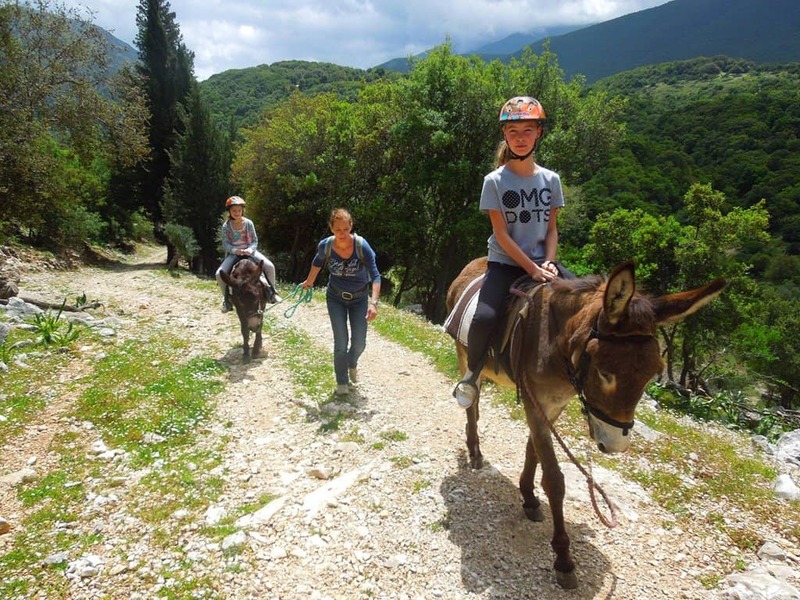 Water bottles, supplies and tired little legs will be carried by the donkeys. Check our post from here. Kefalonia, Greece is one of the largest and greenest islands in the southern Ionian, famous for its many wonderful beaches, fine sand and calm, crystal clear waters. Check this post for more. The Jeep Safari trip starts at Kefalonia Greece. The tour starts in the direction of Mount Ainos, the Black Mountain and its national park. Read the complete post from here. 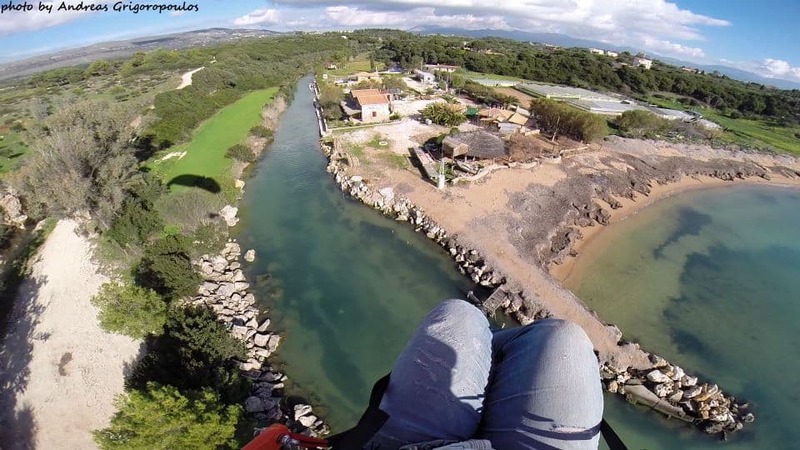 Care to explore Kefalonia from the air? If you are in Kefalonia, you will have the chance to live this unique experience. Fly with tandem motorized paraglider and admire the landscape and the beauties of this amazing island from above. Read the complete post. 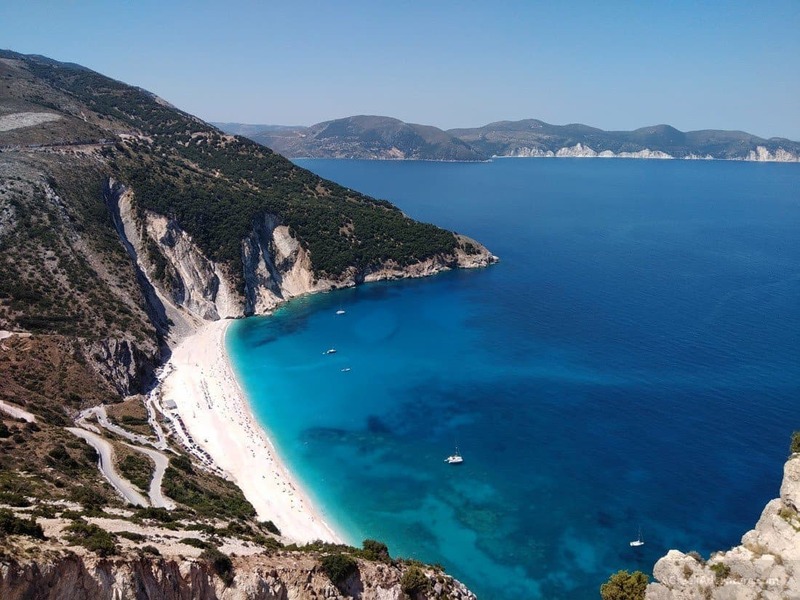 Our special post for Kefalonia beaches explains each thoroughly. As in every location, so in Kefalonia there are some special foods and drinks you need to taste prior leaving the island. Possibly some special events to participate in, also? That is the wine only produced in Kefalonia. Grapes for this wine are grown in Omala valley. Most vineyards and wineries are clustered around the monastery of St. Gerasimos. Most of the wineries are open to public so make a call and visit them to taste this magnificent wine. Villages that are closely bind with production of Robolla are: Minies, Omalon and Pessada. A small sweet made after sugar and caramelized almonds. It is a bit hard to bite but really tasty. They come in 2 variations, with and without pastry color (usually red). Both are equally tasted. My mother in law comes from Kefalonia and she regularly makes this pie, which I can’t get enough of it. During summer time there are lots of fairs happening. Do attend some. They usually happen outside the main cities, in villages. There is lots of dancing, wine drinking and souvlaki eating involved. Lots of fun and many non-Greeks are carried away by the dancing spirit of Kefalonia and participate. Kefalonia belongs to the Ionian islands group of Greece and is the biggest one. It is located between Zante and Lefkada and south of Corfu. You can get there by plane or ferry. It is also a pivot point for other islands (even for day trips). The airport is near Argostoli and there are ports at Argostoli, Lixouri, Sami, Poros and Fiskardo. Most tourists stay around the tourist strips at Lassi, Skala and Lourdas. You will need a car to get around Kefalonia. Distances are not that big but points of interest and beaches are scattered to different places. It is best to stay in or near Argostoli or Lixouri and have these as a base to move around the island. The Airport of Kefalonia (EFL) is 7km south of Argostoli. It is not very big. Besides charter flights during summer time there are daily ones from/to Athens, all year around. If you stay in Skala then airport is 45 km from there. There are plenty of taxis but due to large amounts if inbound travelers these disappear fast. Better to book in advance, unless your hotel offers minivan transfers. To find best prices for your flight to Kefalonia, click here. There are many ways to reach Kefalonia either by mainland or from nearby Ionian group of islands, or even Italy (from the harbour of Bari and Brindisi). There is an additional one from/to Ithaca island. 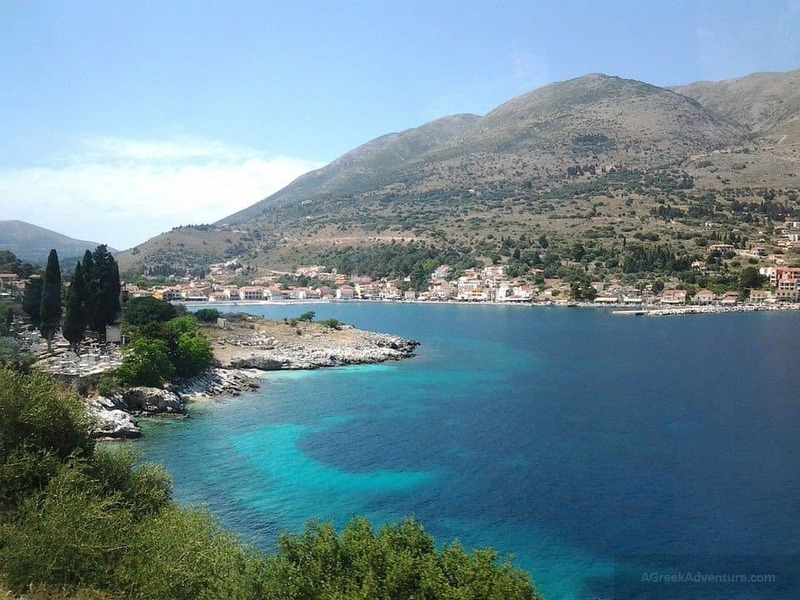 From mainland Greece, you can take the ferry from Killlini to Poros harbour in Kefalonia. There are daily ferries between Argostoli and Killini (mainland Greece, Peloponnese). You need to be careful on which ferry line is active for the period of the year you plan to visit Kefalonia. Some times ferry lines change per year. To be sure check this website to see availability and book ferry tickets. Do book ahead, even if you travel to Kefalonia without a car/bike. When it comes to choose your accommodation for your Kefalonia holidays then a number of factors play their role in the final decision. Many decide their accommodation depending on the type of beach they want or/and how close to the beach they want to be when they wake up (we do as such). If you like sand then better to book near Lassi, Lourdas, Katelios, Skala, all along the South of the island. Lassi is the sandiest one, yet Kamina and Mounda are considered as safest. If sand is not a priority then Sami, Agia Efimia, Poros and Fiscard are also fine. If you plan not to drive a lot then better go to Lassi or Lourdas. You can stay in a hotel, a villa or even find rooms to let and apartments. Make sure you book at least 3 to 5 months ahead, otherwise you will end up with pricey or no options for accommodation. Yes, the island of Kefalonia is that popular. Check prices for accommodation in Hotels, Resorts or villas for your holidays in Kefalonia through Booking or HotelsCombined. Well, if you count the magnificent beaches and the good number of activities then there is plenty to do in your holidays in Kefalonia. It is by no chance that this island is mentioned as a top destination for the Ionian group of islands. Let us know how fun it was for you, or if you’ve been already we would love to hear your experiences there.